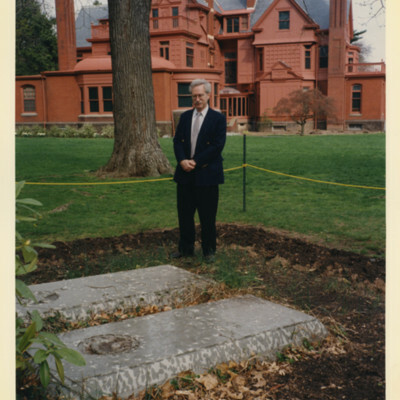 Neil Baldwin standing at Edison's grave at Glenmont, the West Orange, New Jersey estate of Thomas Edison. 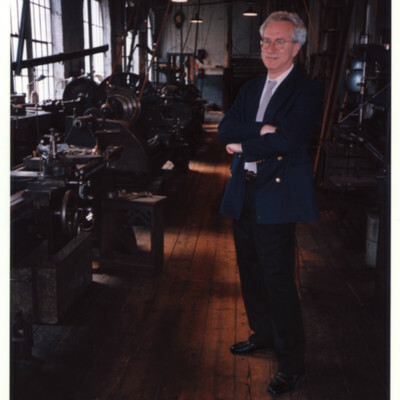 Neil Baldwin in Thomas Edison's laboratory. 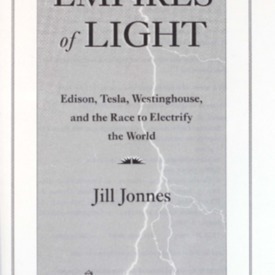 The national historic site is located in West Orange, New Jersey, and is open to visitors.